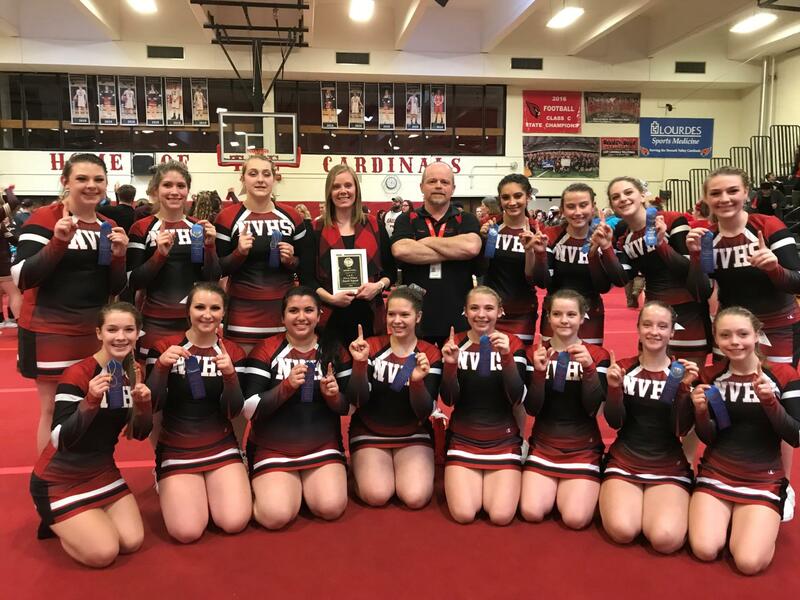 Congratulations to the varsity cheerleading squad for their dominating win this weekend at the annual IAC competition. They won their division by over 20 points and won 1st place overall by 11 points over Thomas Edison. They performed a near perfect routine during the competition. Thank you to those of you who came out to cheer them on. Wish them luck next week as they move on to compete in the Section 4 competition.